Learn more about the deadliest infectious disease for children under age five. Pneumonia is the number one infectious killer of children under the age of five – on average contributing to more under-five deaths globally than Aids, malaria and tuberculosis combined. Every year approximately one million children die from pneumonia worldwide, accounting for 15% of total deaths of children within this age range. In 2013, 935,000 children died as a result of the disease – more than 2,500 deaths per day. People who are sick with pneumonia usually spread the disease by coughing or sneezing while in close contact with others. Pneumonia is a global disease that affects people everywhere, but almost all deaths occur in poor or rural communities. The disease is most prevalent in sub-Saharan Africa and south Asia. The mortality rates in India, Nigeria, Pakistan, the Democratic Republic of Congo, Ethiopia and China account for over 50% of total deaths from pneumonia. Solutions to controlling and treating pneumonia are available and cost effective, yet less than a third of children with suspected pneumonia receive the life-saving treatment they need. Proper nutrition, vaccinations, hand-washing with soap, low emission cooking-stoves and breastfeeding for newborns are all cost-effective interventions that can protect children from pneumonia. A large proportion of the children who die from pneumonia do so because they are given inappropriate treatment after being misdiagnosed. Symptoms of pneumonia include fever, difficulty breathing, a rapid heartbeat and a painful cough, which can be confused with other childhood illnesses such as malaria. When diagnosing pneumonia, community health workers (CHWs) are trained to calculate the respiratory rates of children, and to then determine whether they are breathing faster than normal. However, studies have shown that almost half of CHWs, particularly those with low numeracy skills, are unable to accurately apply age-specific cut off points to respiratory rates. Malaria Consortium has been working to identify the most accurate user-friendly respiratory rate timers in order to improve frontline health workers skills. Diagnostic tools include mobile phone applications, pulse oximeters and coloured counting beads. Accurate diagnosis is important in ensuring that all children receive appropriate treatment, whether that is antibiotics for pneumonia or treatment for other diseases. The World Health Organization (Who) advises dispersible amoxicillin for five days as the preferred antibiotic treatment for children under five who are diagnosed with pneumonia. Children with danger signs should be referred to a higher health facility for treatment with injectable antibiotics and oxygen therapy. 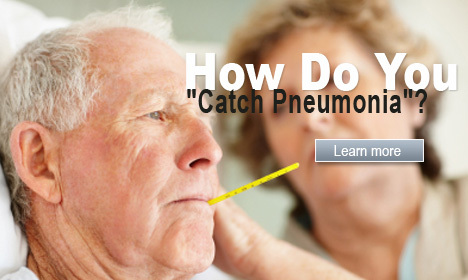 However, recommended antibiotic treatment is given in less than half of pneumonia cases. Malnourished children, particularly those with severe acute malnutrition, have a higher risk of death from common childhood illnesses such as pneumonia. This is because malnourishment weakens the immune system, preventing the body from fighting off the disease. Nutrition-related factors contribute to about 45% of deaths in children under five years of age. Integrating pneumonia prevention and treatment methods with severe malnutrition is a way of breaking a pattern whereby children become malnourished through poor absorption of nutrients, while those already malnourished are more likely to die due to their compromised immune systems. The number of deaths in children under five worldwide has declined by 50% since 1990, from 12.7 to 6.3 million deaths in 2013. Yet Millennium Development Goal 4, which calls for reducing the under-five mortality rate by two thirds by 2015, is still out of reach for many countries. Since pneumonia is still the leading infectious killer of children, momentum and political commitment must be sustained to achieve continued reductions in child mortality and reduce deaths from pneumonia.